My passion is fishing. I have been fly fishing since I was 15 years old. stopped me catching fish, they have restricted my casting and therefore my total enjoyment of the sport. 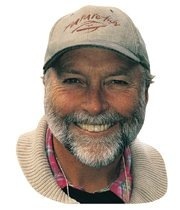 So when I had the opportunity of enlisting in one of Peter Hayes’ Fly Fishing Schools I was excited at the prospect of learning a few new tricks and ironing out those bad habits. The difference in my casting is amazing. Just an adjustment of the hand and a sharp stop at the top of the backcast has made all the difference. Being a big man I was also taught by Peter that strength means nothing unless you have technique and timing. The bonus was the chat at lunch with all the fishing tips that I picked up. Other great fly fishing people & businesses that I know. Tasfish is run by my friend and mentor Mike Stevens. 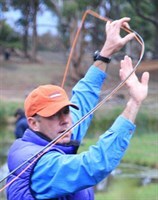 www.tasfish.com is the one stop shop for anything to do with fishing in Tasmania. Be sure to subscribe to his awesome bi monthly magazine. 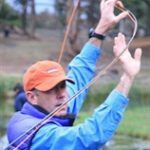 There is no one in Australia more qualified than Peter to teach you fly fishing and fly casting. Find us with Google Maps !